We started in 2001 with 2 old aircraft, having bought the then loss making AirAsia from its Malaysian owner DRB-Hicom, for a token of MYR1 (USD0.25 cents) and MYR40 million (USD11 million) in debt. Born in the aftermath of 9/11 and coming through the global financial crisis, AirAsia has faced some of the most turbulent times in the airline industry. With our successes today, we stand as testimony to the power of great innovation, passion, teamwork and well-executed ideas. 9. Japanese Cabin Crew hiring.Submit your here. 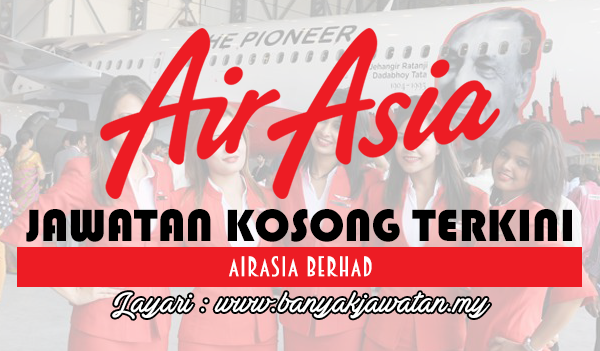 0 Response to "Jawatan Kosong di AirAsia Berhad - 17 February 2018"